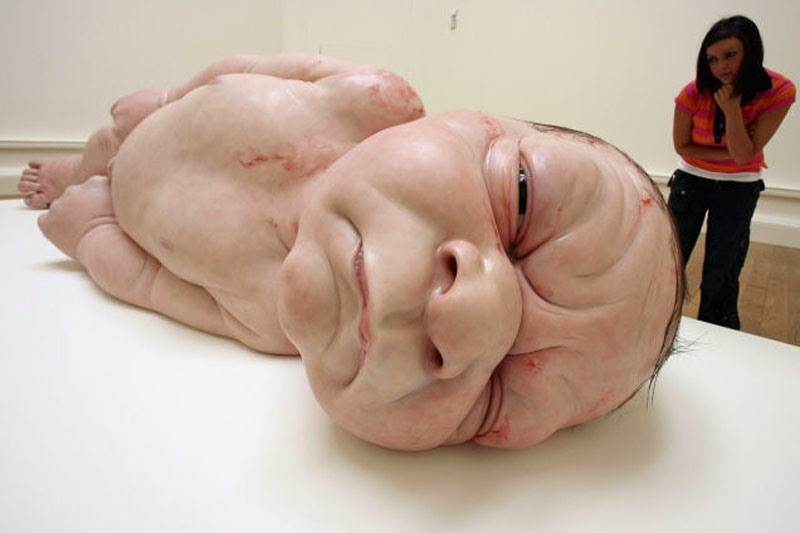 Ron Mueck is a London-based sculptor who has been creating fine art sculptures since 1996. He creates them without shying away from human life aspects. His works portray the key stages of human life- from birth through middle age to death. Mr Mueck was previously a renown model maker and puppeteer in children’s television and films. In his 30’s however, he turned into fine art for a living. He sculpts the clay, makes plaster, moulds it, and then replaces the clay with a silicone, fiberglass and resin mixture. His techniques and skills are largely found in cinematic and theatrical special effects.